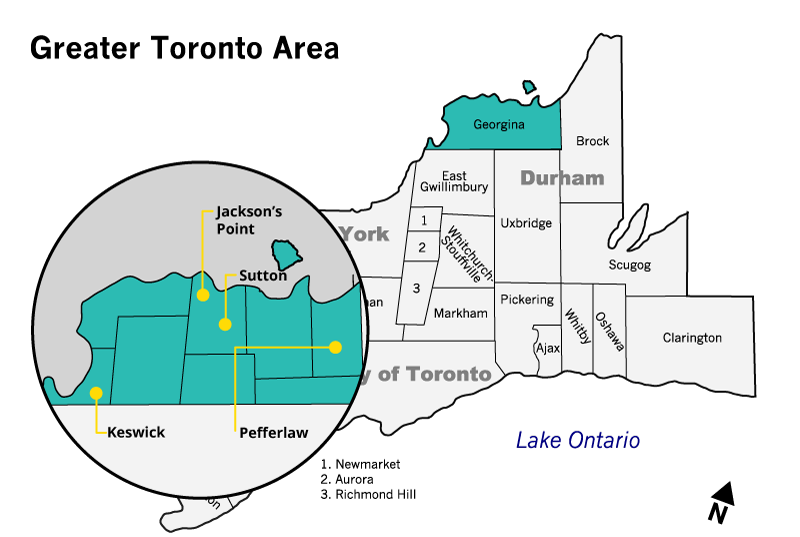 Georgina is comprised of many small communities, the three main urban areas include Keswick to the west, Sutton along the north shore, and Pefferlaw, located in the north east corner of the region. Georgina offers a number of year-round activities in a variety of recreational facilities including our many impressive public parks, beaches & forested areas. Georgina is also a popular destination in Ontario for ice fishing, its season typically running from early January to late March. Formerly known as Medina, Keswick is the largest urban community within the Town of Georgina. It was once a village within Township of North Gwillimbury before the creation of the Town of Georgina. The town was formerly considered part of "cottage country" for those who lived in Toronto up until the late 1980s, when major highway development further opened up access to Keswick, expanding its population and services, transforming Keswick into a bedroom community for the cities of Newmarket and Toronto. Georgina's population has increased by 6,155 residents between 2001 and 2016 and by more than 12,000 residents from 1986 to 1996. 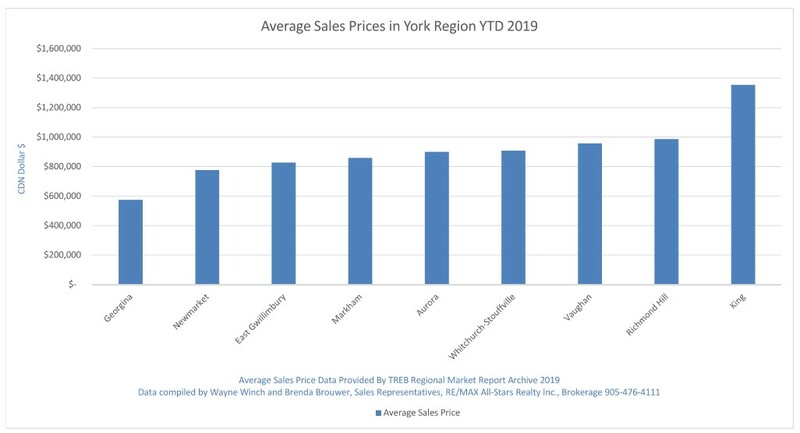 The growth could be attributed to the fact that cost of homeownership is conciderably cheapter then that of the more southern comunities in York Region, this has made the town more attractive for builders and homeowners alike. 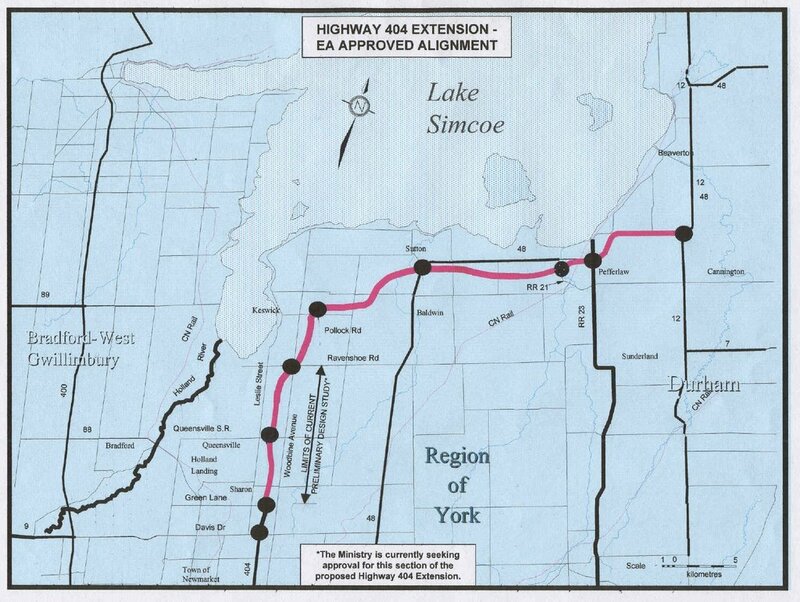 The long awaited 404 extension from Newmarket to East Gwillimbury has been completed. It opened to the public in September of 2014. The 13 km extension took a couple years longer then we had anticipated but good things come to those who wait and future proposals may one day result in an extension to southeast of Beaverton. In 2016, a long term proposal was presented by the province and calls for Highway 404 to be extended to highway 12, between Sunderland and Beaverton. The extention would follow a new alignment to Port Bolster, incorporating existing lanes of Highway 48. The 404 expansion into these areas is highly critisized as it encourages the urban sprawl from Toronto, but with the current expansion between Nemarket and Georgina completed, this area has become the most valuable economic employment corridor in the Greater Toronto/Golden Horseshoe Area. Commute times to downtown Toronto are less than 1 hour in good traffic. This has opened up opportunity for many Georgina residents.